At 11am on Sunday March 26, our ride will begin at the STAR Center bike rack (3873 S 66th Street.) 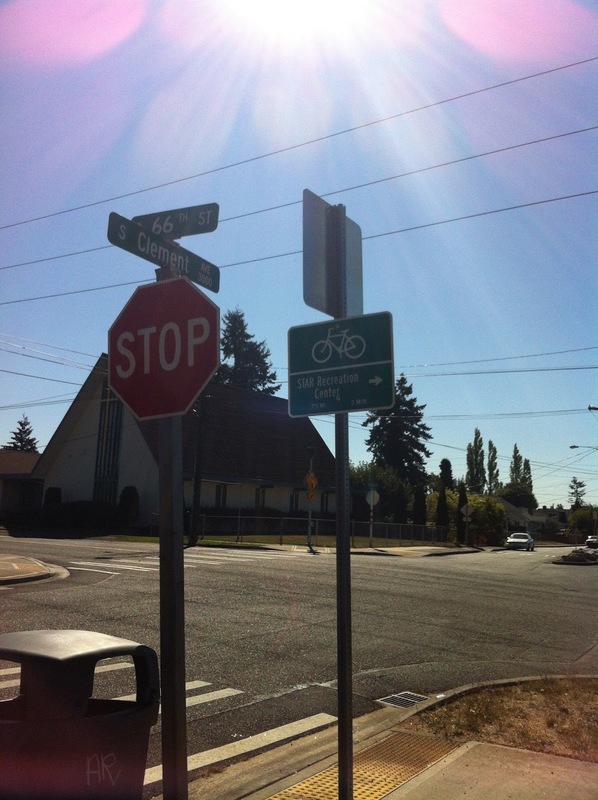 We'll explore South Tacoma by bicycle on our way to beautiful Wapato Hills Park. We'll play there for a bit, then pedal back to the STAR Center. Expect a snack at the end of this 3 mile round-trip. Pack a picnic lunch for afterwards if you like! There are restrooms available at the STAR Center, where the ride begins and ends. And an enormous playground. Please note: Wapato Hills Park is a large green space and playground on the west side of I-5 in the neighborhood behind Ted Brown Music and Cash & Carry. We will not be crossing I-5 on this ride! Thanks to TWBC for continuing to support Kidical Mass Tacoma. Though the weather seemed less than ideal, four of us still met up for the ride on Sunday. Rob and Charlie took Malcolm and Matt on a quiet tour of South Tacoma from Star Center to Wapato Hills. The kids swapped stories along the way and it didn't really rain during that hour. While eating popcicles at the end, we all decided this great route deserves a re-ride in the summer. Stay tuned!